Based in Frankfurt, AVI-SPL will offer its list of top tech partners and solutions throughout the country. The AV integrations firm will support enterprise customers in Germany by designing, building, and integrating standardized solutions to enhance organization communication, collaboration, and productivity. Partners of AVI-SPL include Microsoft, (Surface Hub and Skype for Business) Crestron, Cisco, NEC, Polycom, among many others. Fully committed to supporting global enterprise customers in the area, AVI-SPL will now provide German-speaking assistance with its 24-hour help desk and field services, as well as a virtual network operations center (VNOC) to support its full portfolio of video managed services in Germany. After serving in the German military, Stehr began his professional career with an AV services company as an onsite manager directing installation projects in numerous five-star hotels. Most recently, Stehr dedicated the previous eight years in various management roles with Crestron. 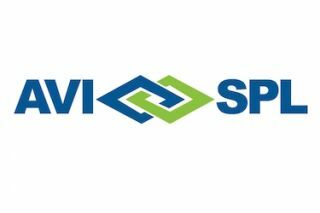 AVI-SPL has begun its daily operations in Germany, and will officially open the doors to its Frankfurt office on November 1.